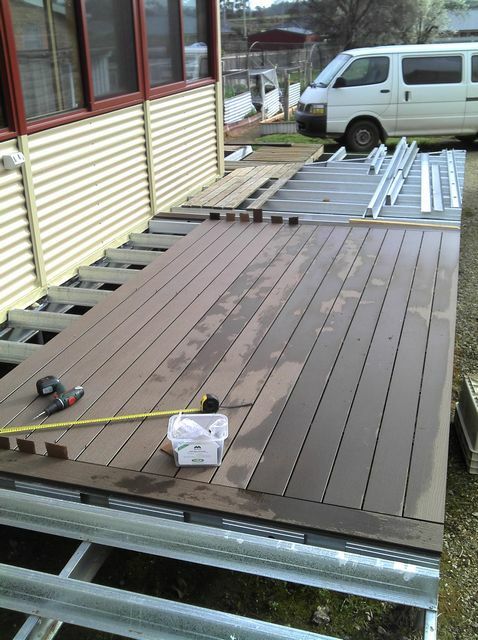 Back in May I started part one of the journey or our deck and that we had decided to purchase a Wood Plastic Composite decking product called Futurewood. 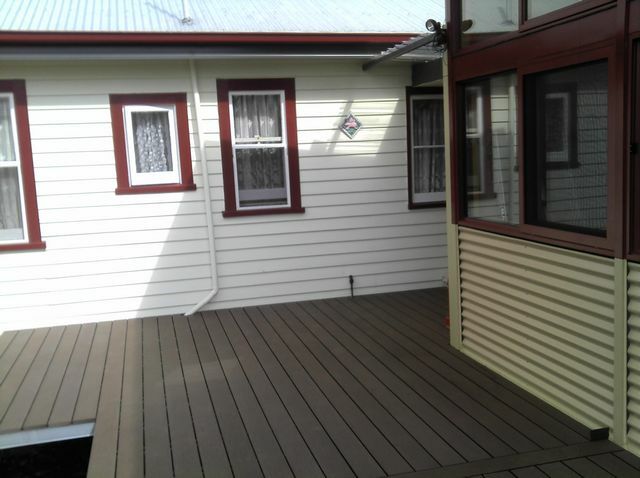 Finally in September after much angst and mucking about I managed to finish our deck. The supplier on the mainland (Australia) was great but there were much hiccups in getting it across the Bass Strait to here in Tasmania. Not happy, but eventually after much shouting down telephones and hammering keyboards the product was delivered to Westbury. 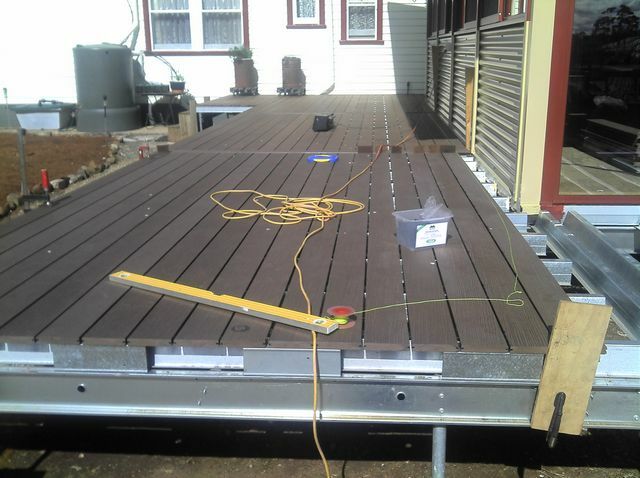 Now I have never laid a deck before in my life so it was with some trepidation that I started. Downloaded the 9 page instruction booklet for futurewood fixing and read it through a few times. The recommendation was that long runs be broken up with what is known as breaker boards which are boards running at 90 degrees to the deck. 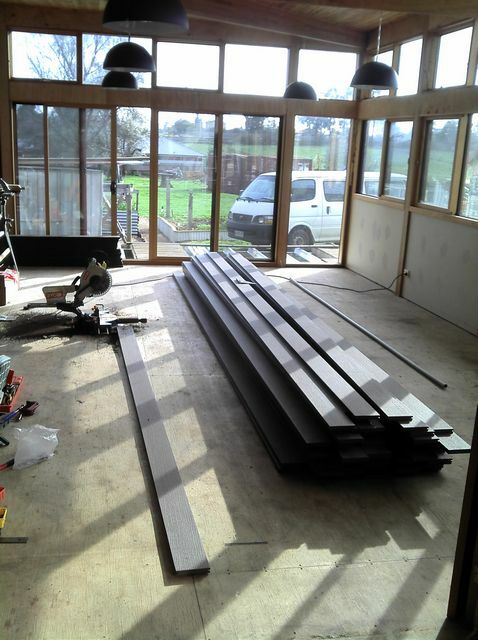 I had allowed for these in the realignment of all the joists. More steel top hats were added in where these breaker boards were to be situated. Two breaker boards were duly cut to length and glued down. 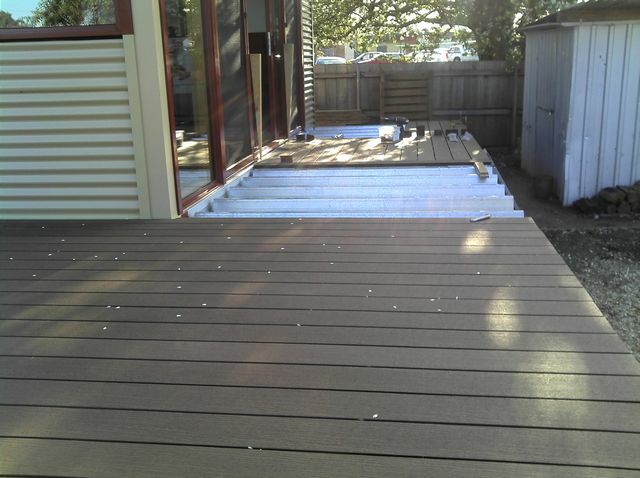 Masonite spacers were used to get an even gap between the breaker boards and the decking planks. 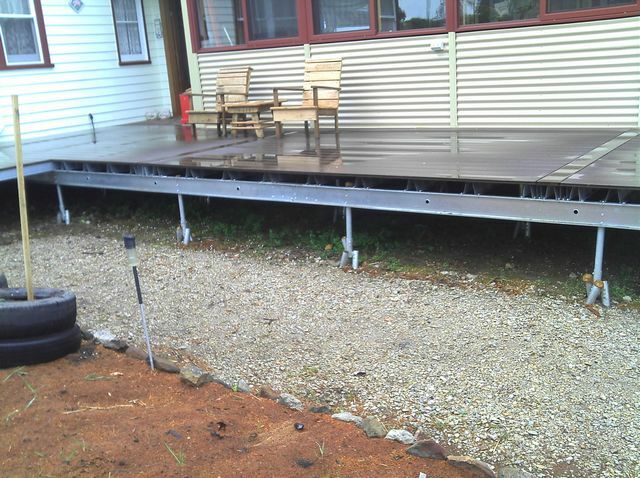 The T shaped spacers screwed down to the steel tophats creating an even spaced deck. The first part went well and looked ok. 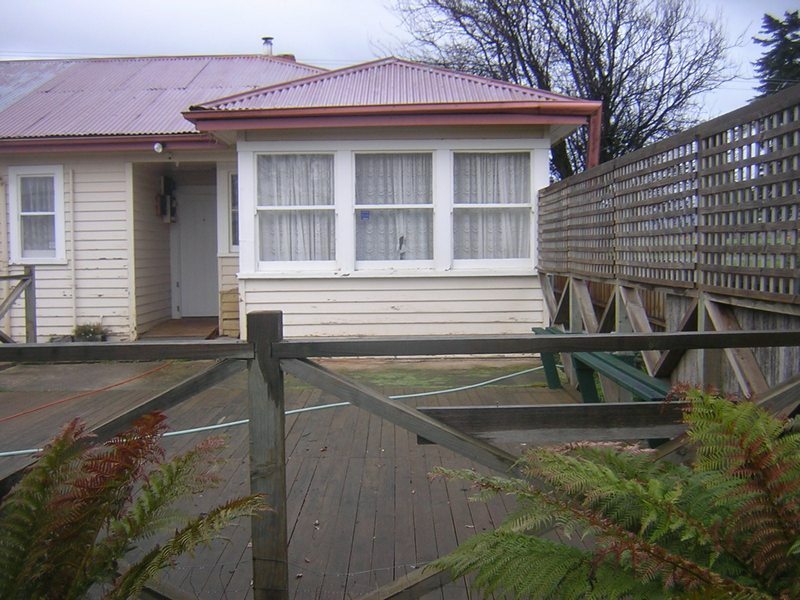 The next part was the area in front of the back doors. I did this in three stages, lining up the first stage with the ones that I had already laid, then infilling the part in front of the door and finally the small area where the steps are eventually to go. The next stage was the last run on the east side, a long run of approx 4 meters. Originally this was set up for a 45 degree mitre at the corner but it became clear that this would not work as the north end was narrower than the east side and an equal matching of boards would be very difficult. I took apart all the c section and top hats and rebuilt it to take a straight run. During this rebuild I realised that the C section was not exactly square and the top hats needed extending past the C section to create an area that was the same measurement in depth as the other areas I had just decked. Many blue words later I sorted it all out. What it taught me was not to assume that anything is square or where it should be. The North side was easier to do and the hours spent working out cutting lists etc paid off with two whole boards left over and enough short lengths to create a ramp later on. The product is a little softer than I expected and scratched a little easier. I ended up checking the width of each board as I found one I had fitted was slightly wider and this threw out the line of the deck. Only two boards were wider and I used these as breaker boards or at the back of the deck against the house where I had to rip them down anyway. All in all we are very happy with the product. And just to remind people of what was there when we moved in! !